We love helping college students and their parents get ready to go off to college. 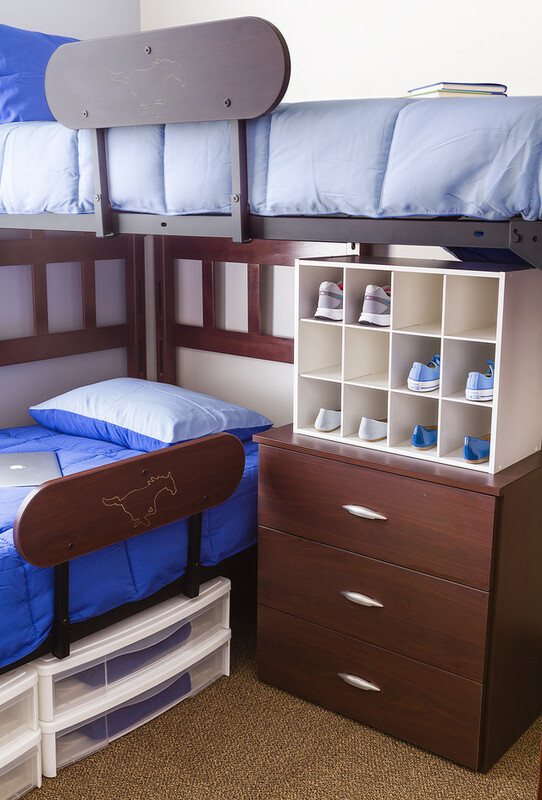 And, in fact, we work with colleges around the country to set up "model" dorm rooms to show off how you can maximize the space in that home away from home. 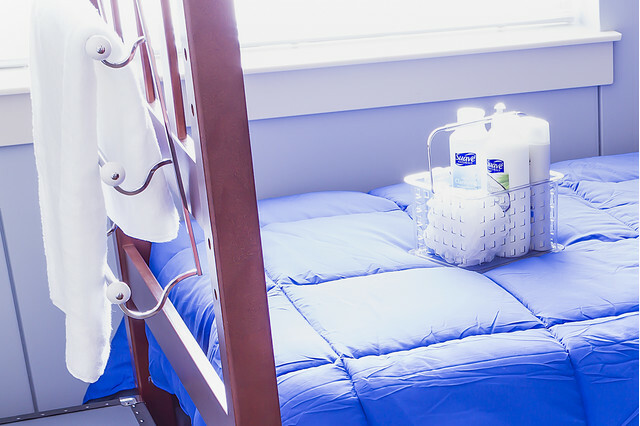 We recently set up 10 model rooms at Southern Methodist University (SMU) in Dallas, which is near and dear to our hearts since that's where we launched this program back in 1986. Check out how our time-tested Dorm Room Basic Six took on SMU's Ware Hall. Organizing these common areas found in all dorms (and apartments) really works! We've been doing it for decades and it'll give you parents comfort and you students hope that they can "take it all with them" to college and do it all in organized fashion. Here's a handy checklist too, so that you get everything you need before heading off to college! PS: We're having a College Savings Weekend this weekend in our stores. If you have a student going off to college or you know someone who does - you guys need to sign up now to receive your invitation and special offer using the link below! Clothes, shoes, handbags, accessories...oh my! And, on average, roommates will share a closet that is 3-5 feet wide with only one closet rod! 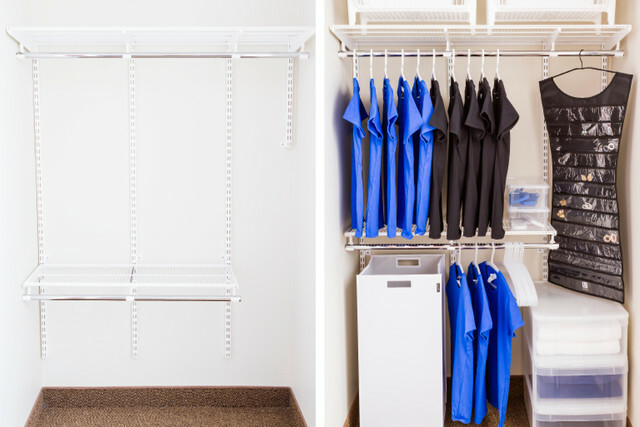 Think vertically to maximize closet space. 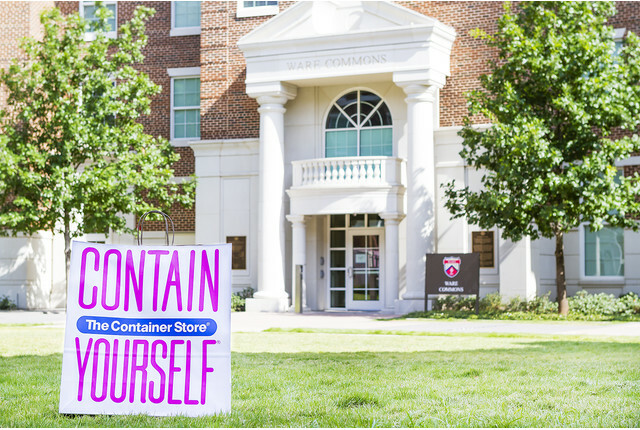 Now, at SMU, we've worked with the university to install our fabulous elfa shelving in some of the closets, which allows students to double the space. But a rod doubler can also instantly create twice the amount of hanging space. That's the key - break up the space. If it's more space for storing folded clothes you need, add drawers to take full advantage of the vertical space. Hanging organizers for jewelry (we love The Little Black Dress), shoes and sweaters are also great ways to make the most of the space. Look to your walls and doors to store more than just art. 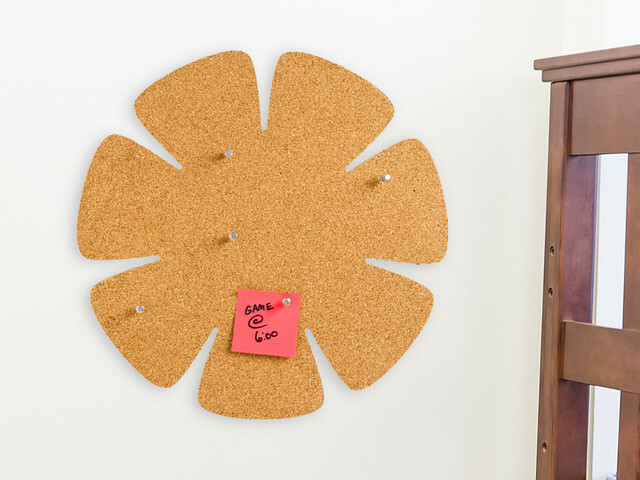 Magnetic boards, grids and hook racks can provide much-needed storage space in every area of the dorm. To avoid being charged for damage to the walls, use 3M Command™ Adhesive products to hang everything from a grid system to bulletin board. They can be easily and cleanly removed when it's time to move, and they're reusable! Ok yes we want our kiddos to study while they're away at college. So you want to set up their desk so that it's an efficient and productive use of space. 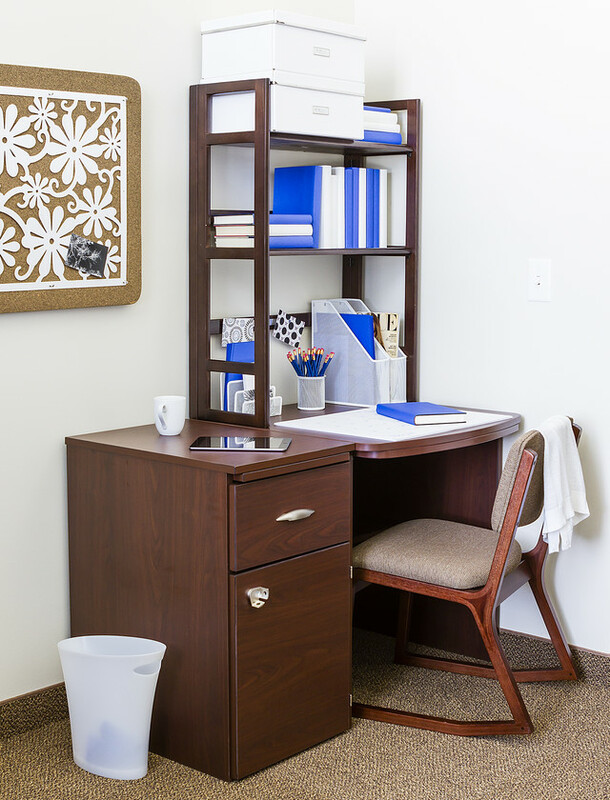 Standard issue dorm room desks generally don't provide a whole lot of storage space for books, notebooks and supplies they'll need to have close by. You can go vertical by adding a stackable bookcase on the desk top that adds a ton more space, and then load it up with accessories to organize office supplies, projects and items that need action. 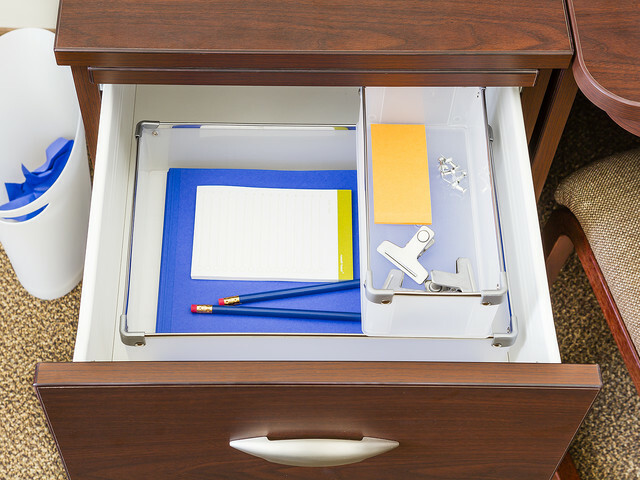 Use drawer organizers to compartmentalize the contents of drawers for pens, pencils, paper clips, highlighters, etc. Chances are, you'll have to haul your laundry up and down several staircases over the course of your college career. 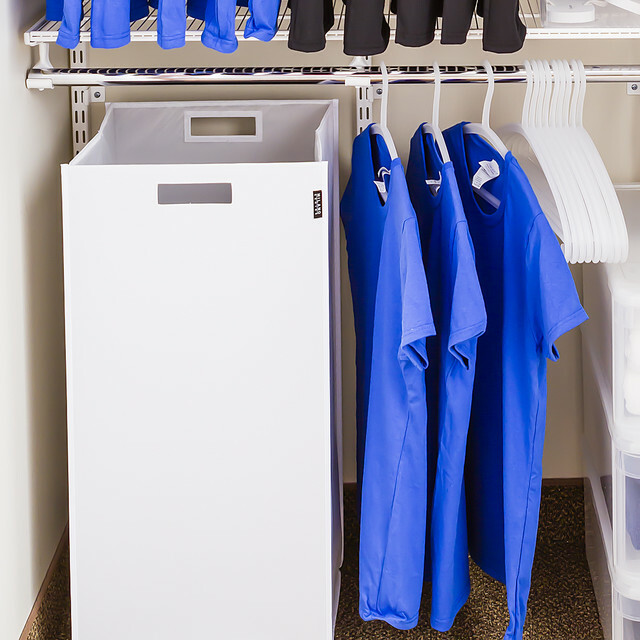 It's best to choose a laundry solution that is portable and comfortable to carry. Whether they will share a bath area with just a few or many students, you don't want them to get stuck with a heap of wet towels. Hang them out to dry on an overdoor towel rack. We hung the rack at the end of the bunk bed. You'll also need to consider a shower caddy (be sure it has drain holes!) and a solution for storing cosmetics. Look for every inch of available space and think creatively about how to use it. Look under the bed, over the door, on the walls, on the floor - wherever you can find a bit of open space. Modular shelving like InterMetro is great because of its flexibility to place shelves where you need them and also because they are super sturdy and can stand up to a lot of weight. An elfa Fridge Cart is great for storing - yes - the fridge, but is also great for a microwave or even a printer. Drawers under the solid top provide extra storage. An elfa File Cart is awesome, too! 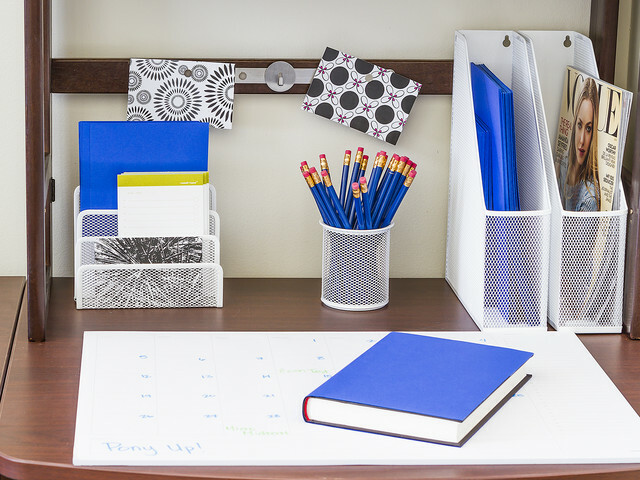 It fits neatly under your desk or against a wall to organize notes and handouts. 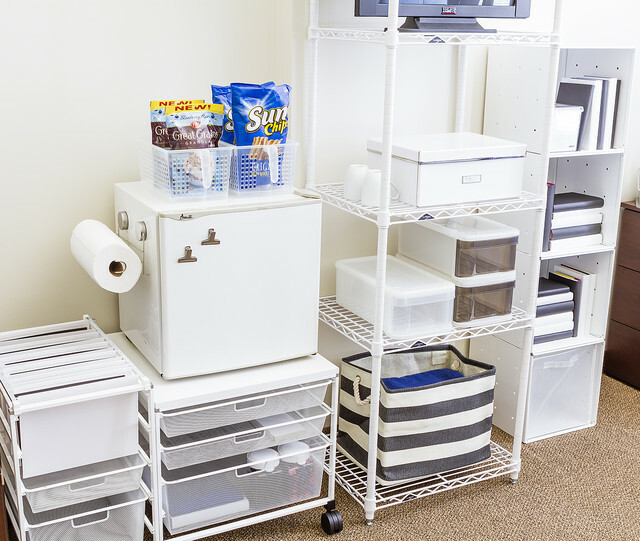 Two storage drawers offer spare room for reference materials and office supplies.